Trying to figure out: is Modere a scam? I’m guessing you landed on this page because you are researching about those new generation of collagen, or some household care, personal care, and health and wellness products by this MLM company. Or maybe someone has approached you about its business opportunity, and is trying to recruit you as their social marketer. You might be wondering: is this really the life-changing window of opportunity that doesn’t come knocking twice? The fact that you are here says that you are a careful person who will invest some time to sniff things out before committing yourself. You’re definitely at the right place, because I am not promoting Modere here. Having no association with the company, you can be assured my Modere review will be an honest and unbiased one. So let’s dive right in, and find out all about its product range, their quality, as well as the income potential in their business opportunity. Modere is actually an old MLM company rebranded only in 2015. Its product line belongs to the evergreen niches of health and wellness, personal care, and household care. It has developed a new generation of collagen, called Liquid Biocell. After rebranding, the company has seen some growth in revenue, as it ditches its traditional ways of ‘forcing’ a monthly autoship order on its distributors. But at its core, it is an MLM company. And as it turns out, the rebranding merely hides the same wolf in a different sheep’s clothing. Read on for the detailed review of Modere, and why I do not recommend it. Modere actually started off as Neways in 1987, in Springville, Utah. 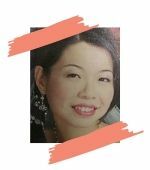 The old MLM company had a very much lope-sided focus on recruitment, urging distributors to simply sign people up as their downline, and earning their commissions as their downlines make the monthly autoship purchases. Marketing their products to retail customers was nearly non-existent. In 1993, Neways recalled its “Quickly” weight loss products because of potentially dangerous amounts of a prescription drug found in them. In 2003, Neways paid a fine for knowingly selling an anti-aging dietary supplement containing HGH (human growth hormone), which cannot be sold without a prescription. In 2006, Neways founders Thomas Mower and his former wife were sentenced to jail for evading income tax. Even after the rebranding into Modere, the lawsuits continue. But at least those are trade related, unlike how the company was willing to endanger its customers’ health for the sake of making money, in its earlier days. It’s no wonder that they need a rebranding to get off to a new start. Let’s take a look at its product line, as well as the business opportunity offered to its distributors, to see if they live up to their hype. Committed to their clean label “Safe and Effective. Live clean.”, Modere has made a conscious choice to leave out unnecessary and potentially harmful ingredients commonly found in conventional formulations. Examples include sodium lauryl sulfate (SLS), triclosan, petrolatum, parabens, phosphates, formaldehyde releasers, among numerous others. Though commendable, I believe it is something consumers would expect of an MLM company, considering how over the top their pricing always is. In fact, all MLMs will boast of superior quality products, pure and beneficial ingredients, complemented with the latest technology, backed by intensive testing and research in their labs. If not for these selling points, why would anyone have to pay a premium for their products? Collagen Sciences – their new generation of collagen, in the form of Liquid Biocell drinks and gel, and creamers. Health and wellness – multivitamins, probiotics, dietary supplements, meal replacements, body sculpting packages, etc. Personal care – skincare, hair care, makeup remover, eye care, etc. Household care – laundry wash, fabric softener, dish wash, surface cleaner, etc. As you can see, the choices are endless when it comes to the health, personal care and household care line of products offered by Modere. A stark commonality that strikes me as I went through their product catalogue: the exorbitant pricing. It’s atrociously high. No wonder there is no market for retail customers. And this spells the start of all the trouble when a person is swept into an MLM scheme like this that over emphasises on recruitment. I will explain in more detail in the next section. purchase a $399 Builder Collection Package. Though this is not compulsory, but you will be strongly encouraged by your upline to purchase this, in the name of promoting the products to other people. On top of these, there is actually a monthly “Smartship” (what other companies call autoship) plan, which is a minimum purchase of $100 each month. You can skip this monthly purchase requirement if you hit their monthly sales quota requirement. Retail commission – you earn a percentage in the sales you make to retail customers. 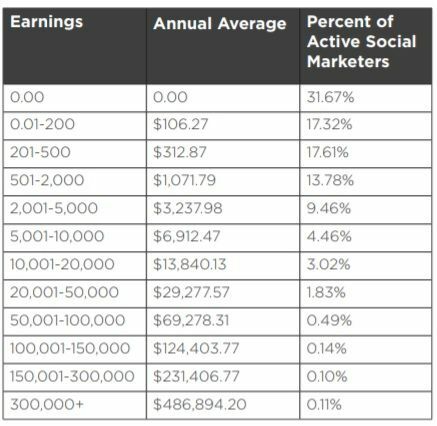 The more you sell, the more commissions you earn. This is a fair reward scheme, unfortunately it is not what Modere chooses to focus on. Recruitment commission – these are what you make when you sign up distributors under you, to form your downline. As they make purchases, and they sign up people under them, your team grows, and you move up the ranks, to earn higher bonuses and commissions. The exact compensation plan of any MLM company is always too convoluted for my simple mind to grasp. So I will not go into the details here, but will attempt to explain the compensation structure in very layman terms, in the following section. The incentive structure is specifically designed to work for its founders and those at the top of the ranks. It is as simple as that. Because it is structured to be so. And if this concept were made known openly, then no one would join an MLM scheme. So it has to be masked behind complicated and convoluted incentive structure that looks very busy and lucrative, with so many bonuses and commissions in place. The truth is, for any new entry distributor, the compensation can never offset your initial investment into the business. Not until you work your butts off for the company, promoting its products, living its brand in your own life, and exhausting your circle of friends and family with your sales pitch to try and recruit them into the business for your own monetary gains. 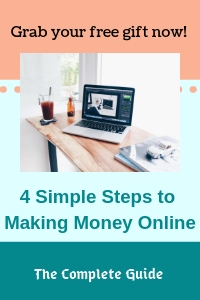 It may take years, with a full time effort and commitment to the business, in order to climb up enough ranks to start making enough income to cover all those financial investments that you put into building up your business. And if you try to look at the big picture: the trouble with the MLM scheme starts with its exorbitant pricing of its products. So it kicks itself out of the free market, as there will be no natural demand for its products which are priced too much over the top. Fear not. Because that is the job of its incentive structure. Reward people and promise them of shared earnings, so they will buy into the program, and thus buy the products! And that is where all the revenue of all these multi-million companies come from. The bottom ranked distributors are the ones supporting the financial weight of the company, paying to promote its products, paying to get into the game, and never getting their fair share of earnings. They work themselves so hard, and at the end of the day, many do not even realise that the meagre commissions they get are not even worth a part-time income, after accounting for all their purchases. In fact, they are paying for the dream lifestyle of those at the top levels, and the founders of the company. Because this is the way I see it, so I will never ever recommend any MLM opportunity to anyone. If you are considering an MLM business opportunity because it will give you the time and space flexibility of working from home, working any time you like, and spending more quality time with your family, then I urge you to think twice. To promote its products and to recruit people into your team, you would have to work when others are off work. Which means on weeknights, and weekends. That would eat into your family time even more. And it’s not something that you can just do a few hours a week, and hope to get some side income out of it. If that is the level of commitment that you are thinking of putting in, then you would be making losses, not to mention a part-time income. Without establishing yourself through moving up the ranks, by recruiting lots of people under you, and then managing them well so that they stay in the business, there is no way that any MLM opportunity can work for you. Now, I want to share with you what I do to make my income from home. The way I make my income from home, is also through promoting other people’s products. But the huge difference is, I do not have to limit myself to any one company. I can promote as many products from as many companies as I like, all at the same time. Another huge plus to how this business model works: I do not have to pay to play. These companies recognise that I am doing free advertising for them in promoting their products, so why should I have to pay them? They pay me my fair share whenever a sale is made. Which is a fair and transparent reward system. The more I help them sell their products, the more they pay me. Also, I do not have to recruit anyone at all. Recruitment does not come into the picture in this business model. That’s a happy thing for me, because I can’t stand the thought of exploiting people around me for my own monetary gains, trying to convince them to embrace some expensive and supposedly superior product in their lives, when they were not even looking for anything in the first place. In this method I am using, I promote to people who are actively searching for those products. I’m adding value by meeting their needs at no extra cost to them, and they are ever ready to buy, because it was with their intention to buy that they managed to find my offers. I believe Modere does stand for eco-friendliness, not just in its products, but also in its manufacturing processes. It is also committed to not using harmful and unnecessary ingredients. The niches of personal care, health and wellness, and household care products are evergreen, and will never go out of trend. On the down side, we see more and more MLM companies emerging in these exact niches. So even though the demand is there, but there are now many more hands reaching into the same pot. Modere distributors have their training and support to be comprehensive and detailed in helping them jump start their business. There also seems to be a shift in focus on using social media to promote the business, instead of solely relying on the traditional methods of direct face-to-face selling. This is how MLMs are made to run. Send the prices sky high, and lock people into buying the products with the promises of attaining their dream lifestyle. Even though the Builder Collection Package is not compulsory, your upline will exhaust all means to coax you into buying it, because it would affect his or her commissions. $400 is not cheap, to pay for entry into the game. You won’t be making that much sales to retail customers, as the products are too expensive. So the focus on recruitment is evident, for distributors to try and stay in the business. As you can see, close to 95% of active distributors made an annual income of $6.9K or less. 80% made less than $1K in the whole year. How is this even a part time income? And I’m sure many distributors put in close to full time hours, to make these earnings of hundreds for the whole year. It is just not worth it at all. As interactions with family and friends start to be pitched around recruiting them into the business, or even selling them the pricey products, the authenticity of the relationships will be put at risk. Is Modere a Scam or legitimate business opportunity? To answer: is Modere a scam? I would have to say no. It is not a scam. 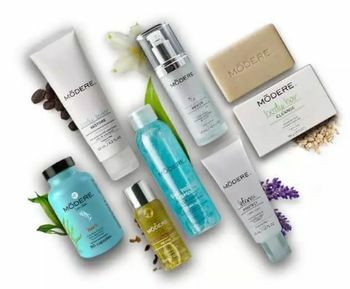 Modere is a legitimate MLM business, as you do get products for the money that you pay. 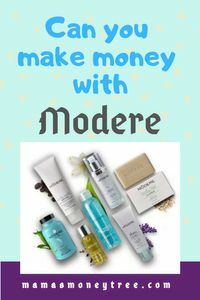 I do not recommend Modere, or any MLM company for that matter. It is no different from these other MLM companies that I have reviewed: Scentsy, Valentus, and Young Living, to name just a few. If you have any concerns or questions regarding this Modere review, do comment below, and we will start a conversation from there.